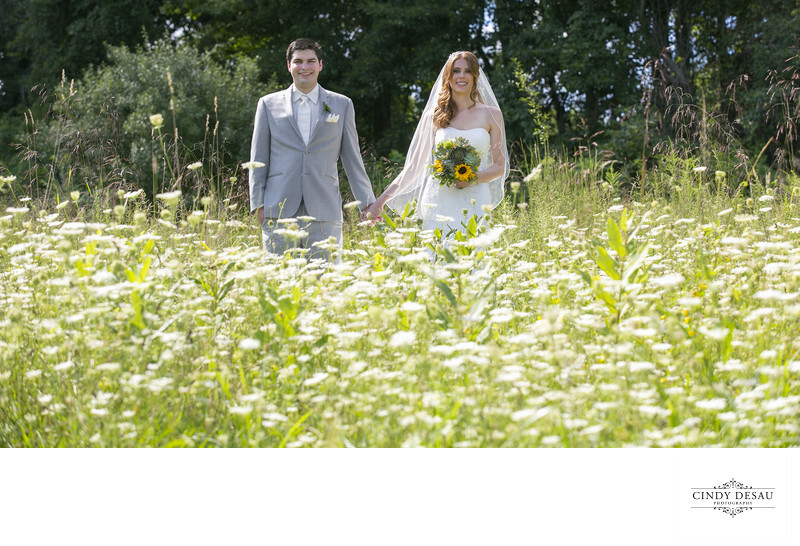 This Bucks County Wedding Photograph just screams summer to me. I wanted to surround this couple with the prolific white wild flowers; they look so bridal! Lacy and white, they totally add to the look of the bride’s white gown and veil. This is another of my favorite photos taken in the field at Holly Hedge Estate. Depending on the season, the weather and the time of day, I can create many different types and looks of field photographs for my brides and grooms.